The impulse to write this post came with the recent discovery that we live in the midst of a generation so dependent on gadgets (and adept at using them) that they lose, or never discover, the simpler way of doing things. I conducted an “antler hunt” in the April spring woods with a group of Boy Scouts of my son’s troop. The plan was to scout the woods during the day and using flashlights at night, employing compasses to coordinate the excursion. The group consisted of several boys aged 13 to 16 years, bringing with them a large assortment of electronic equipment. 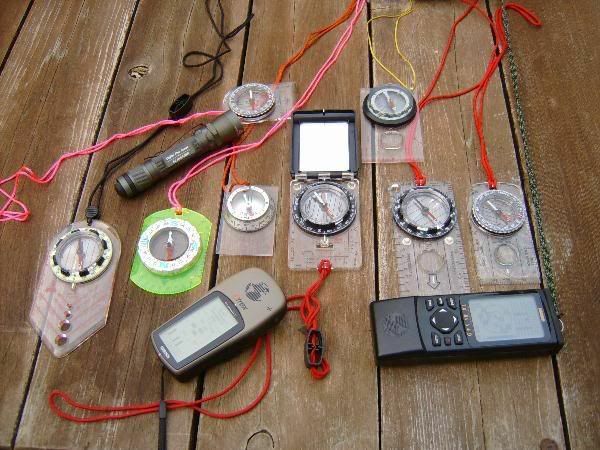 I have to say that they were very excellent at using them, especially the iPods, cell phones, two-way radios, and GPS’s, but they failed miserably in their understanding of the low -tech compass. AND THE GARMIN E-TREX SUMMIT, AS WELL AS A SUREFIRE AVIATOR FLASHLIGHT. I have nothing against GPS’s; as a matter of fact, I use them myself and have a couple that I use often to complement the compass I use. After all, the GPS can give you your position (and you can plot this in a map) in any weather and even at night, making it easy to walk cross-country in the woods. However, I am not one of those guys glued to the GPS. After I get my position and course to follow, I put the gadget away and use the compass to get the direction for my trek. This is going to be sort of a very short (space limitation) refresher course on how to use the basic base plate compass. Of all the types available, I am going to stick to the Silva system for now, as it is the easiest to understand. 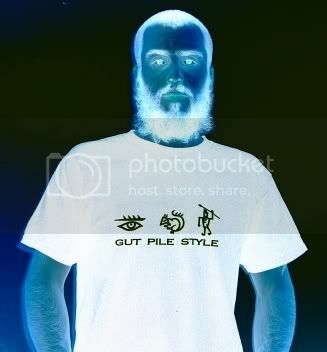 They come in several flavors; from the inexpensive less- than-$10, to the more elaborate of $50 or so, but they all do the basic job of guiding you well. That I stick to the Silva system doesn’t mean that you have to buy a Silva Compass. The market is full of others brands that use the same base plate system such as Brunton, Suunto, Kasper & Ritcher, etc. The mechanics of taking bearings and following directions are very easy. I will try to make them short and understandable, as the scope of this article is only to produce the basics, and should not be considered a treatise in navigation. The compass’ needle points to the Magnetic North, not the geographic North, but we only have to compensate for it when we use the compass together with a map. For navigation in the woods without a map, this is what you have to do. With the compass in front of you, point the direction-of-travel arrow in the direction you want to go, then rotate the capsule until the magnetic arrow North part (usually red) lies pointing to the letter N (for North) in the capsule. Read the bearing (in degrees) at the junction of the line-of-travel arrow and the capsule. In this case, it is showing 270 degrees, which means that the direction you want to travel in is 270 degrees, or exactly West. Now, move your feet and rotate your body (not the compass) until the magnetic needle points to the N. Pick a landmark lying in your direction (West) and walk to it without looking at the compass. When you reach that landmark, reorient your body again, pick another landmark (a tall tree?) and keep walking until you get to your destination. When you want to return, don’t change anything on the compass! Move your body, putting the South part of the needle over the “N,” or alternatively, just invert the base plate with the direction-of-travel arrow pointing towards you. Or, if you want to change the setting, just put East as your returning direction in the line-of-travel; that will be 90 degrees in your numbered capsule. And to make this explanation as simple as possible, I will explain compass and map together in the next posting. The compass needle points to geographic North only at the agonic line (line of no declination because it is the same as the geographical North line). This line passes now through the west part of Florida and the Great Lakes. My friends in Wisconsin never have to adjust for magnetic declination. I hike and hunt in New York, where I have to adjust for 17 degrees West, and in Maine as much as 22 degrees West. The people on the West coast have to adjust for declination East. If you are located over that line, the needle will point geographic North. All other times the magnetic needle points to the magnetic North that is located some 1300 miles from the geographic North. Your topographic map will tell you in a diagram found in the left corner how much is the declination in your area. If the map is old, you may have to find the present declination to be more accurate in your traveling if it involves a long trek, where one degree could make a difference. Once you found how many degrees of declination you have to adjust for, you can do it on the compass or on the map. PICTURE OF A COMPASS WITHOUT A SCALE, IN THIS CASE YOU HAVE TO FIGURE YOUR DECLINATION BY ADDING OR SUBSTRACTING FROM THE 360 DEGREES, IN THIS CASE THE DECLINATION IS 18 WEST, SO THE NEEDLE IS PLACED OVER THE 342 MARKINGS. EACH OF THE MARKINGS IS EQUIVALENT AT 2 DEGREES, THERE ARE 180 OF THEM AROUND THE COMPASS. To make the map speak compass language (magnetic North), extend the line of declination all across the map from the little diagram in the corner, using a long ruler and spacing the lines about two inches. 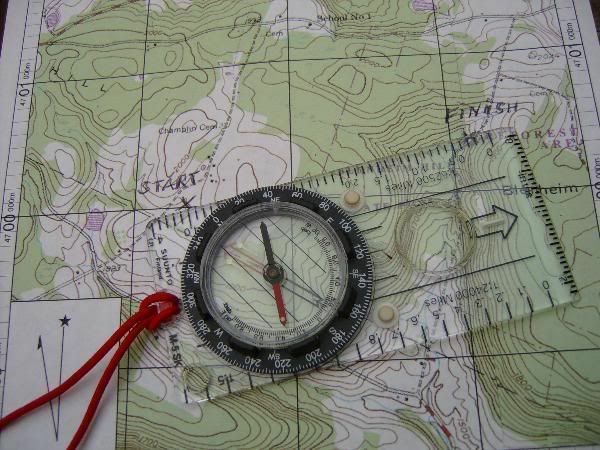 Or use your compass as a protractor (measuring angles) to trace the start of the line from anywhere on the map. 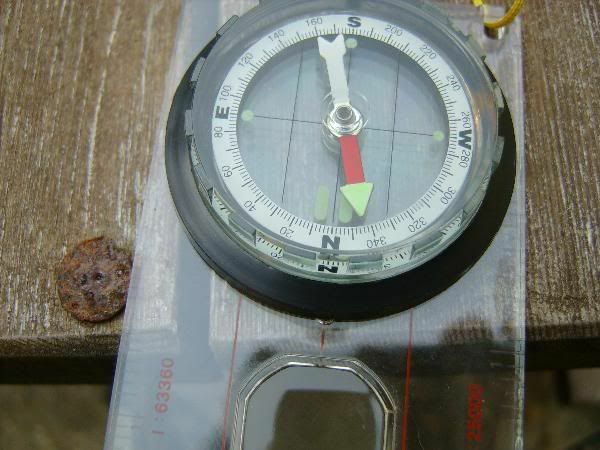 After doing this, both the compass and the map will “speak” magnetic readings and you will not have to adjust the compass for magnetic declination. If you would rather adjust for declination on the compass (and save yourself from tracing lines on the map), every time you are going to follow a bearing in the field, you have to move the needle to the proper declination. So instead of pointing to North, it will point 22 degrees West of North (in the case of Maine), or 338 degrees. Or, if you are West of the agonic line, then your declination will be East and you will have to move the needle East of the North marking on the compass. 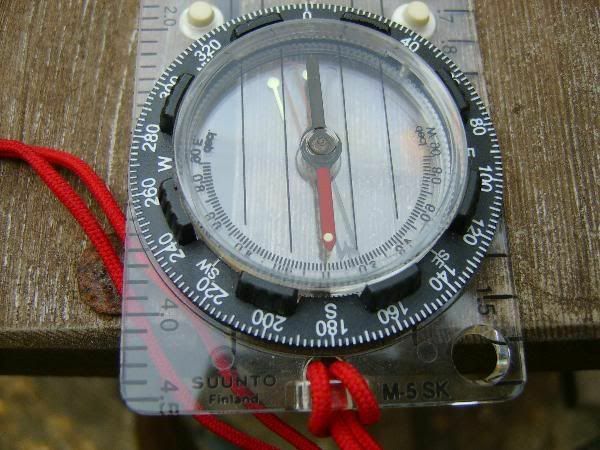 Some compasses have a scale printed in the capsule, and some of them adjust by means of a internal rotating bezel that adjusts with a screwdriver stored in the lanyard. I like the latter type because there is nothing to do after you set it; you just place the needle in the “gate” that is already adjusted to the proper declination after you do it the first time. To use the compass and map together, find where you are in the map and where you want to go, connect the two places with a line that extends from the side of your compass, and without moving it, rotate the “capsule” of the compass so that the lines inscribed on the bottom of the capsule combine with your drawn magnetic lines on the map OR the North line(s) or margin on the map if you are adjusting for declination on the compass. Just follow the bearing that you have just set at the back end of the “line of travel arrow” and you will arrive at your destination. All this is very basic, but it will take you to the proper destination. If you would like to study map and compass a little more and learn how to navigate using more elaborate techniques, such as using handles, taking triangulation, or navigating in open terrain without the use of landmarks, I recommend you buy one of the books that are available on the subject. I started many years ago with the classic “Be Expert with Map & Compass” by Bjorn Kjellstrom, which I recommend, but there are many other books that you can get from places like REI. I hope this little post can help someone interested in navigating the woods by map and compass. I feel that is a great need to go back to the basics to supplement and complement navigation with GPS, that after all, being electronic and depending on batteries can fail us when most needed. 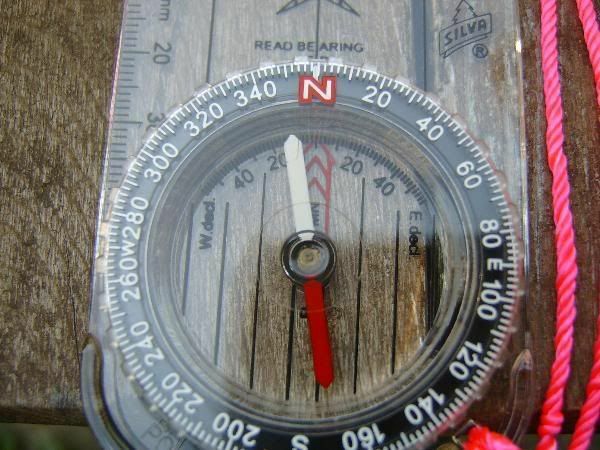 I learned to use the compass in cub/boy scouts but in the many years it`s been since.I have yet to use one in the woods.It must be nice to be somewhere you could get lost. The Missus gets lost in our back yard which is funny. When she gets lost in Wal-Mart it is costly. You got that problem with your squaw too, huh? I find that the longer you have to hunt for them, the fuller the cart gets. Great write-up and pictures, black bear 84! I carry a compass when in new large timbers. I still have my tritium Cammenga from my army days. Don't hunt that much big woods anymore, but if I know I'll be in the big boonies; I'll bring it along. Two other books you might be able to find online or at army/navy surplus stores are: FM 21-26 which is the army's map reading and compass usage book. The Green Beret's Compass Book is not a field manual but is a very easy to read book designed to help civilians understand and use the compass without alot of technical extra stuff. Both are good books and very useful. I've always liked the compass and sun method. If I know that there is a road to the North, I use my compass to find North, and figure out which way my shadow is pointing (left, right, front, back). I can use my shadow as a continous reference so I know which direction I'm going without having look down at my compass all the time. Learned to use a compass and read a map a LONG time ago. Technology is great but it can, and often does, fail. Even a simple compass can fail you if you are in the wrong area. If you can't walk out of an area with nothing but the clothes on your back you got no business going there. At the very least, one should peruse a map so you know a little something about the place you are going to be - rivers, roads, landmarks. And if you don't know that the sun rises in the East and sets in the West, and water flows downhill, then God help you if you decide to go out in the wilderness.